Millennials are not the only ones who have caught on to the simplicity and power in harnessing digital tools, however. According to Pew Research from May 2018, there has “been significant growth in tech adoption in recent years among older generations – particularly Gen Xers and Baby Boomers." While millennials still lead in smartphone ownership, “85% of Gen Xers (those who turn ages 38 to 53 this year), 67% of Baby Boomers (ages 54 to 72) and 30% of the Silent Generation (ages 73 to 90)" have them, too. It should be noted that “Gen Xers have outpaced millennials in tablet ownership for several years" and still do so because 64% of Gen Xers and 54% of Millennials say they own tablets. It shouldn't be difficult to recall that the technology millennials grew up on and can't live without was actually created by the visionaries in the generations before them. People who can remember the long squeak sound of a dial-up modem were the ones who thought that we should be able to connect to the world at light speed. Now, we can make social and professional connections, exchange ideas with diverse and broad audiences, send pictures, and, yes, order groceries in seconds. 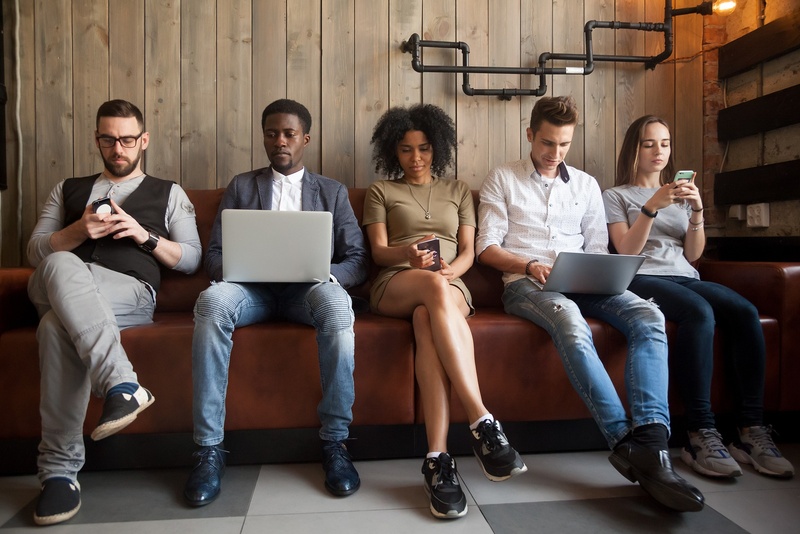 Your millennial employees know how to communicate with clients who can appreciate these advances, as well as with clients who have never known any other lifestyle. Millennials' ease with technology can help an organization grow and adapt to an ever-changing global economy. Dynamic industries that hinge upon timely and salient information flows cannot thrive without people who are able manage data streams and multi-task. Also, digital etiquette is now being shaped by this generation and financial advisors will need insiders who know the most contemporary rules. If used correctly, technology can facilitate stronger sales and better portfolio management outcomes by eliminating what's unnecessary and focusing on what's most important. On the other hand, a corporate culture that fears or dismisses technology as a mere distraction is counter-productive. Such mentality also exposes financial advisors to the risk of being left behind their competitors--and customers -- who embrace innovation.